1 When and Where Are Fire Safety Signs Applicable? 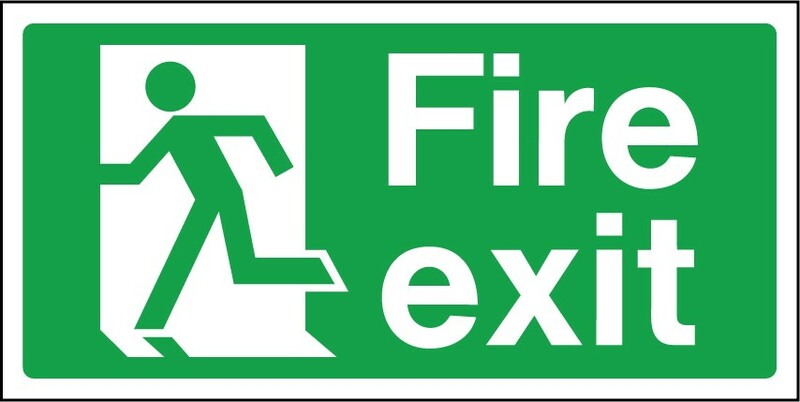 When and Where Are Fire Safety Signs Applicable? According to the Safety Signs and Signals Regulations, employers are required to put up signs anywhere where employees may be at risk. Obviously, the level of risk in an area can be subjective, so there are many guidelines about each specific risk. If you are in any doubt about the potential fire risk of an area, then you might as well put up a fire safety sign, or at least consult an expert. The Safety and Signs regulations apply to workplaces where measures have not been taken to completely secure employees’ safety. A safety sign is not required in areas where there is no obvious risk, or the risk isn’t significant enough. But as this is sometimes unclear, you are always better to use too many signs than too little. Over time, the safety signs have been standardised to make it even clearer what each sign means. As such, there are specific groups of signs that have specific colours, shapes and other features. We will cover prohibition, mandatory, and warning signs in this blog post and finish the list in tomorrow’s blog post. 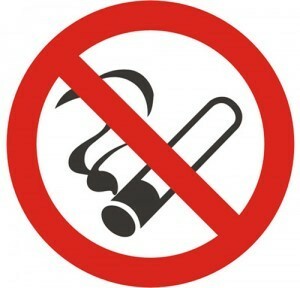 All prohibitions signs tell people what they should not do, such as ‘no smoking’ or ‘no naked flames’ etc. Prohibition signs all have a red circle with a line through it from left to right. The background should always be white and the image depicting the prohibited activity should be black. All mandatory signs are blue circles with the text and/or pictogram in white. Mandatory signs are used to inform people about actions they have to carry out in order for them to meet statutory requirements. 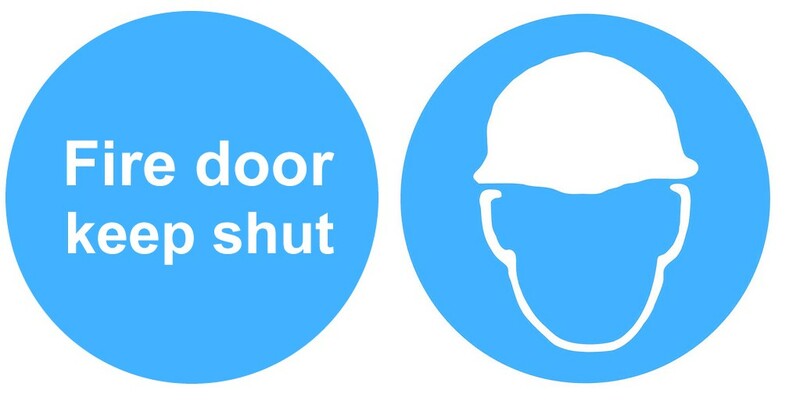 In construction sites, mandatory signs tell people when they must wear hard hats; a common mandatory sign relating to fire safety is ‘Fire door keep shut’. Warning signs are exactly what they sound like: they warn people of a potential danger nearby. There may be some sort of flammable fuel nearby or some other kind of hazard. 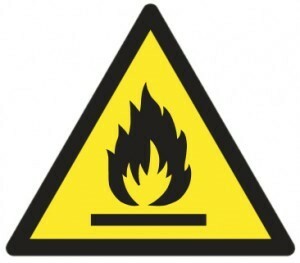 Warning signs should have a yellow background with a black outline and black text/pictogram. Please read the Fire Safety Signs (Part 2) for even more information about fire safety signs.